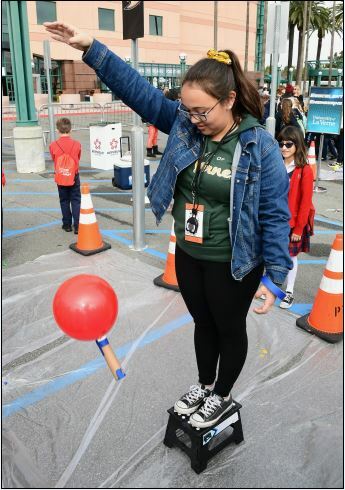 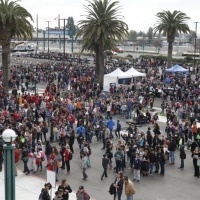 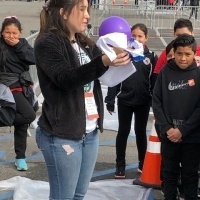 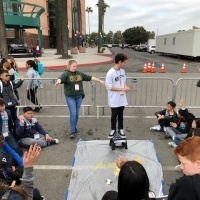 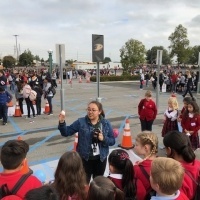 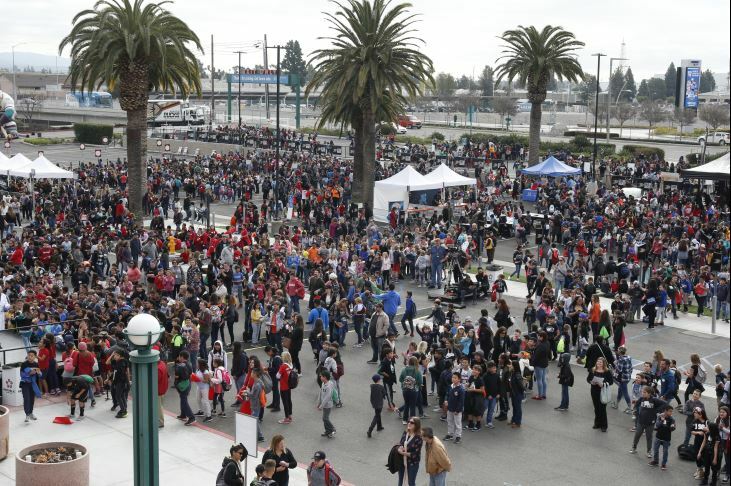 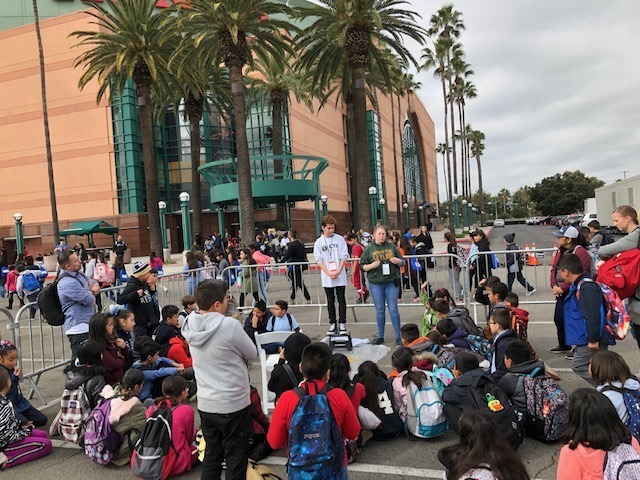 Students in LaFetra College of Education recently participated in a program sponsored by the Anaheim Ducks that introduced more than 16,000 elementary and middle school students to Science, Technology, Engineering, Arts, and Mathematics (STEAM) education. 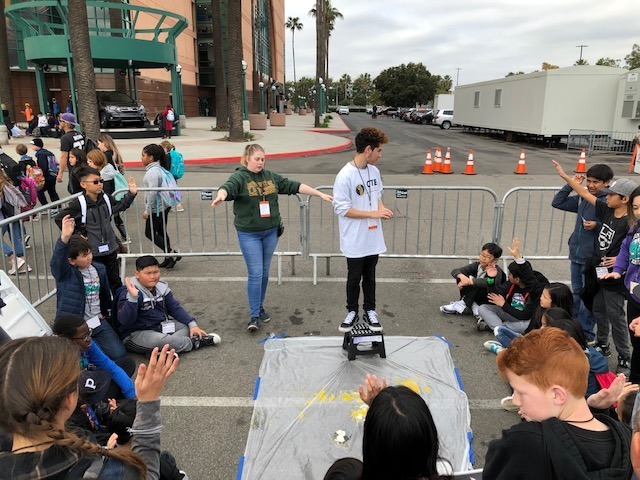 This year’s theme, “Build a Better Puck,” exposed young people to engineering by taking a closer look at an ice hockey puck. 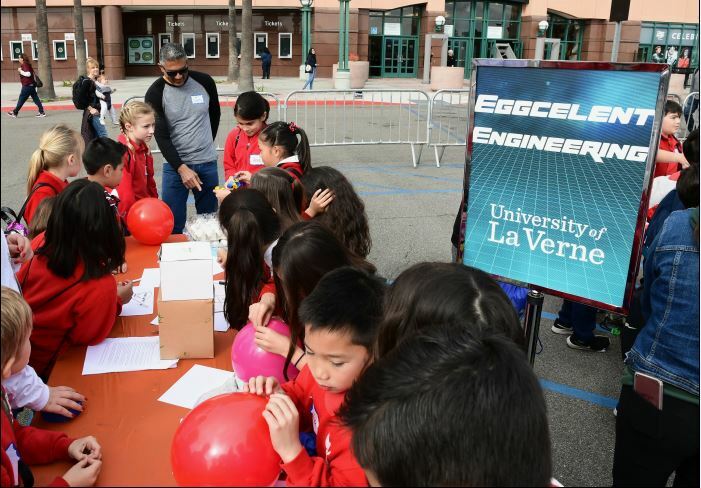 Students applied math and science to engineer an improved puck for hockey players using cutting-edge technology. 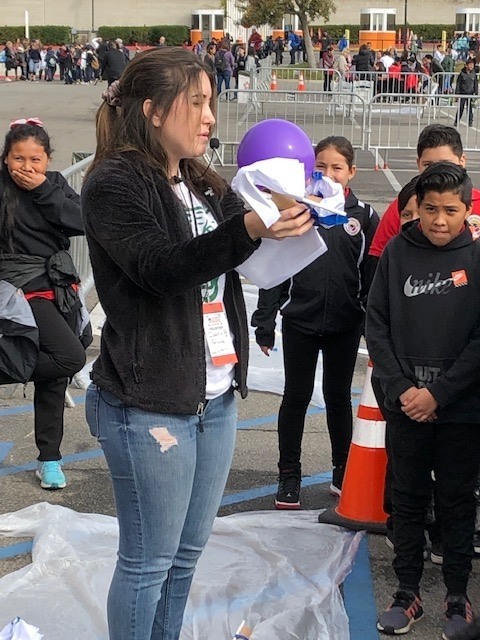 This is the third year that University of La Verne’s mathematics and science students have volunteered in the Ducks’ First Flight Field Trip. 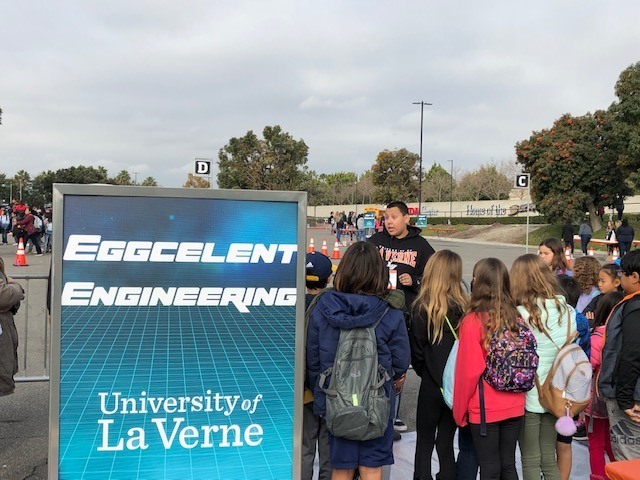 “I thought this would be a great way to give students exposure to an exciting sport while applying theory into practice,” said Dr. David Perry, associate professor and chair of educational technology at the University of La Verne. 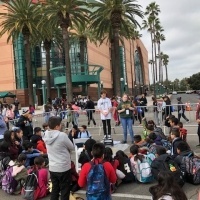 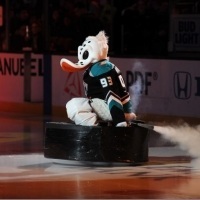 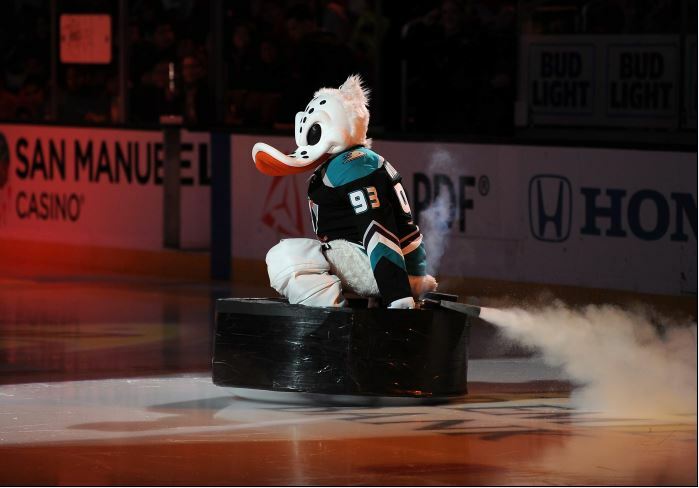 Perry – originally from Canada – grew up playing hockey and was immediately attracted to the outreach program led by alumni Jason Cooper, BA ’03, manager of fan development marketing for the Anaheim Ducks. 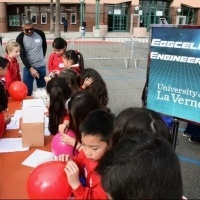 University students who participate in the program applied their classroom knowledge, such as mathematics, science, and teaching strategies to a diverse student population – while making the learning experience relevant to the students they teach. 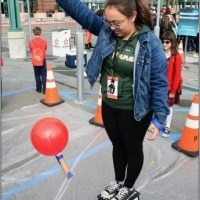 “Moments like this inspire our students to learn more, and dig deeper,” Perry said. 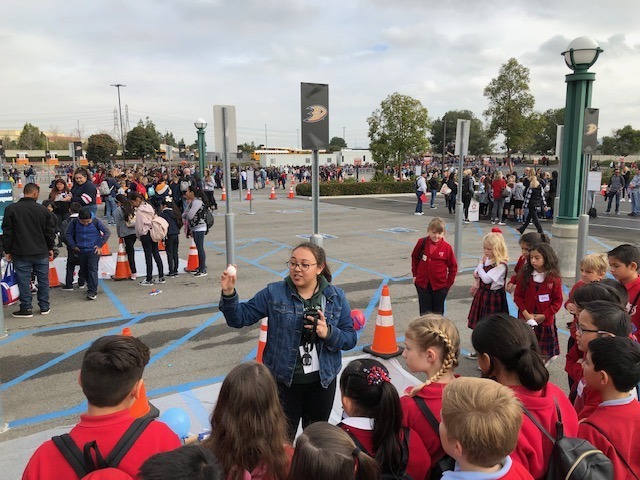 Alexandria Jacobo, an educational studies student, was honored by the Ducks for her lesson plan that was selected for the event. 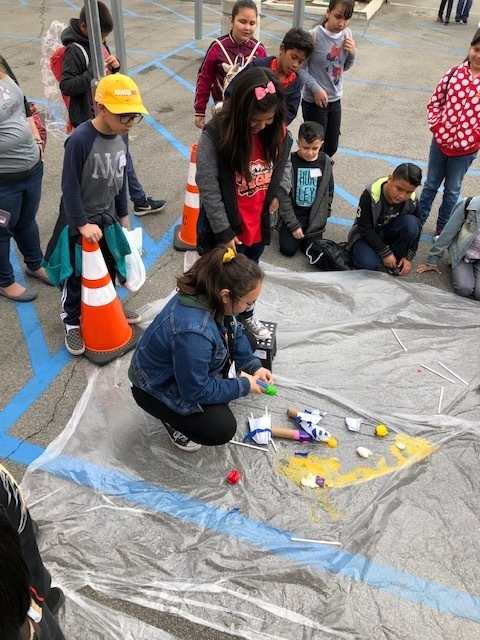 “It’s important for younger students to participate in various subjects in order to broaden their learning, as well as experience a fun, hands-on activity,” Jacobo said. 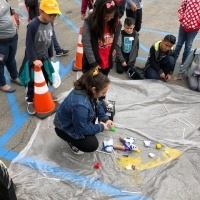 LaFetra College of Education plans to participate in the event next year with the hope of adding the outreach program to the educational studies curriculum. 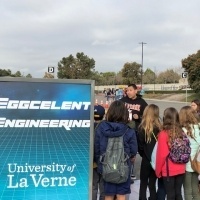 To learn more, visit education.laverne.edu.